Wouldn’t it be amazing if you could just buy a parcel of land, and build your dream log cabin on it?! Unfortunately it is not quite that simple – especially not in America where zoning laws and building codes are relatively strict. Prior to building your log cabin, or even selecting the piece of land that you are going to build upon, it is vital that you understand zoning and building codes. The majority of new developments require you to have zoning and building permits, so before we go into the process for your log cabin, let’s take a look at what exactly they are. Zoning codes regulate the use and development of real estate. Each municipality is split into different zones according to the use of the property, for example; residential, commercial and industrial uses. Additionally, zoning regulates a wide range of other factors in order to protect citizen’s health, safety and the financial value of the area. The first zoning code was introduced in New York City in 1916, when the construction of the Equitable Building blocked the natural light of other buildings. Zoning codes are needed for many reasons including those above; health, safety and financial value. For example, they protect and promote individuals’ health by imposing conditions on septic and sewer connections and municipal water hook-ups. Zoning laws protect citizens’ safety, by requiring a minimum square footage, and protect the financial value of an area by imposing building setbacks from the street and the size and height of buildings. These are just a small number of examples. For a more in depth understanding of zoning code, take a look at this example of a zoning code/ordinance. It may also be benefical to have a look of this zoning map example and then attempt to search for one in the area you intend to build your cabin. Municode is also a really good tool to use to look for codes in specific areas. Building codes regulate how a house, or in this case, your log cabin, should be built and the codes specify the minimum standards. Building codes are split into chapters which each relate to a different part of the building or structure. For example: the function of the building, the size of the rooms, the number of occupants etc. 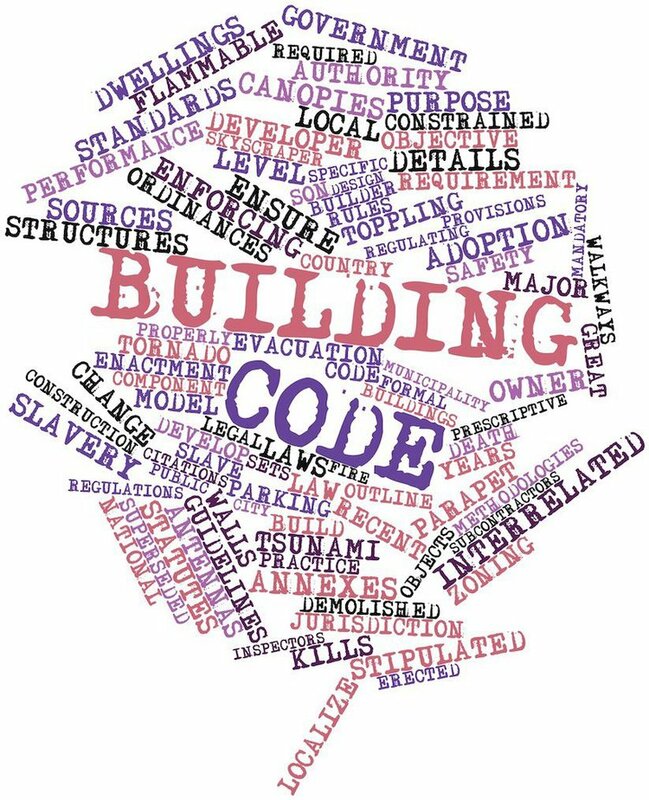 Building codes are in place to protect the health and safety of the public, residents and anyone else who occupies the building. They are also in place to protect the city and county planning department from liability. It stands to reason that if they grant you a permit to build, they are responsible for any claim that could arise and they therefore impose strict codes to ensure all buildings are built safely and to a minimum standard. You can see the International Building code here. This is also a fantastic tool to get started finding your local building codes; it has a huge database of information for all 50 states, large cities and some countries. 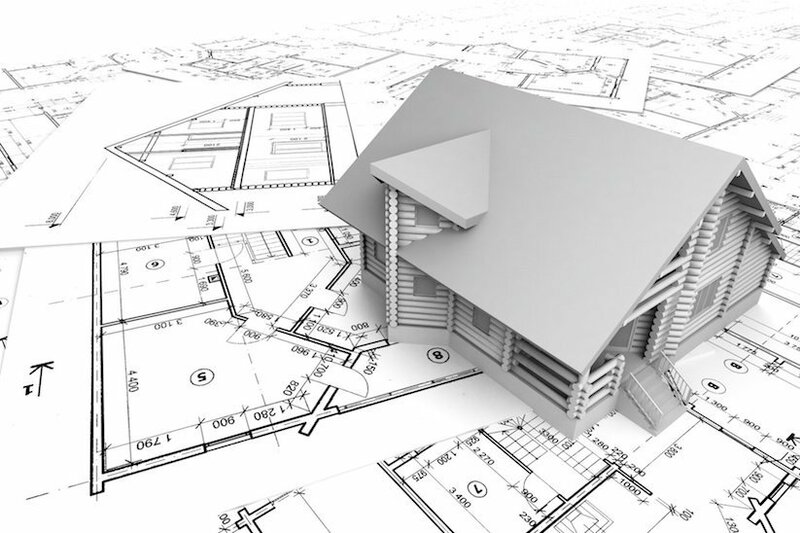 What’s the difference between Zoning Codes and Building Codes? You should by now understand that zoning covers the use of the land, and building codes cover how the building is constructed. Building codes, although they can differ slightly from state to state, are generally quite similar. Zoning regulations are more challenging and can differ hugely in different municipalities. In Manatee County, Florida, in zone R1, new houses must have a square footage of at least 1500 whereas in R2 and 3, the minimum is 800 square foot. Compare this to Sarasoa County in Florida, where there is no minimum house size; You will see the importance of doing your research into the different codes in your area. There are a few exceptions as to when you may not need a permit, for example, shed or workshops, but generally, if you are building a log cabin that will be your primary residence, you will need a permit. Now you understand what zoning and building codes are, how do you go about getting a permit for your proposed log cabin!? 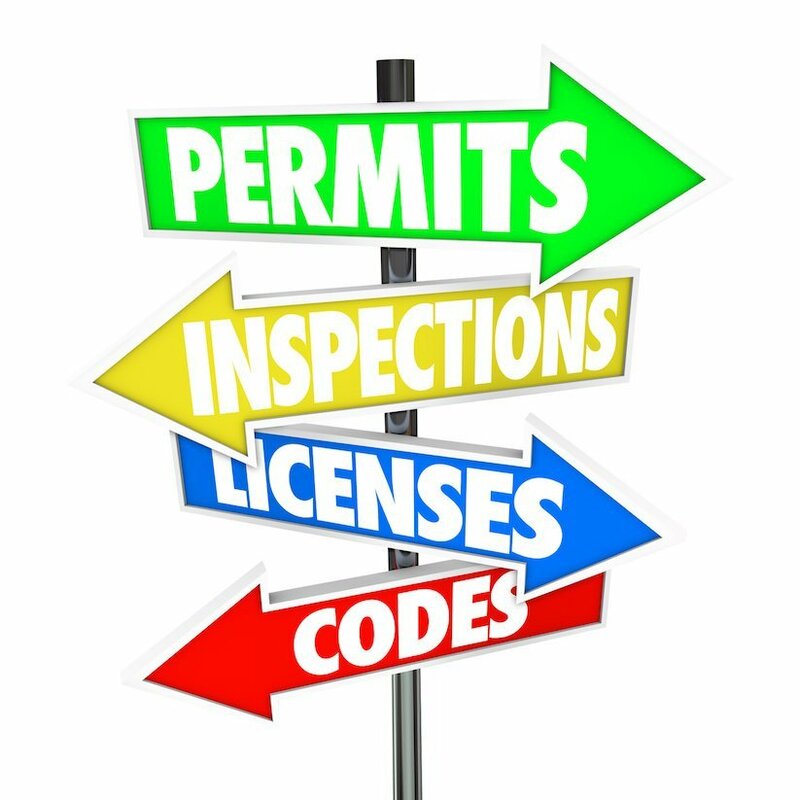 In most municipalities, getting a zoning permit is the first step that you will need to take and is a separate process to applying for a building permit. 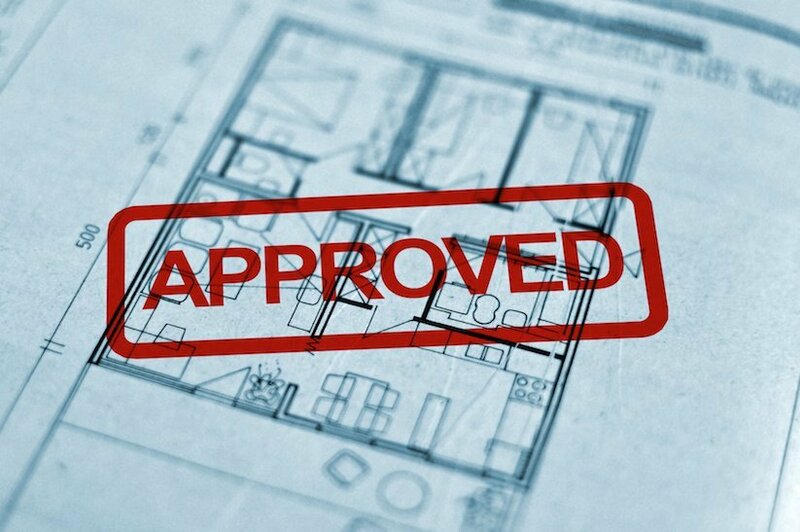 However, in some places, the zoning application is part of the building permit application. Research is the most important thing that you need to undertake. To do this you can look at your municipal zoning laws (New York’s Zoning Laws) and building codes. Most municipalities have copies of their local ordinance surveys available so you can see the different zones within the area. I would recommend contacting your local zoning and planning office if there is anything you are unsure of. When you contact them, make sure you are friendly and not defensive about your proposed build. You are much more likely to get the help you are looking for if you are open to discussions and happy to hear suggestions. Many planning offices will offer a pre-permit meeting or advice session. I recommend you take this opportunity and go well prepared with details of your proposed log cabin. How far will your building need to be setback from the boundaries? Do they see any difficulties with your proposal? Can they suggest any alternative methods of construction which may save you money and time? What is the minimum square footage? Can they suggest anything that may need changing with your plans? It is also important to remember that zoning and other written regulations are often open to interpretation so you may well get a difference of opinion from any professionals that you talk to. Always check any conflicts of opinion over with the planning department. Once you have your planning permit, you can apply for your building permit (unless you are in an area that does this process all in one). You will usually need a drawing or blueprint (i.e cabin plan) of your log cabin at this stage so that the planning department can ensure that it complies with the relevant codes. 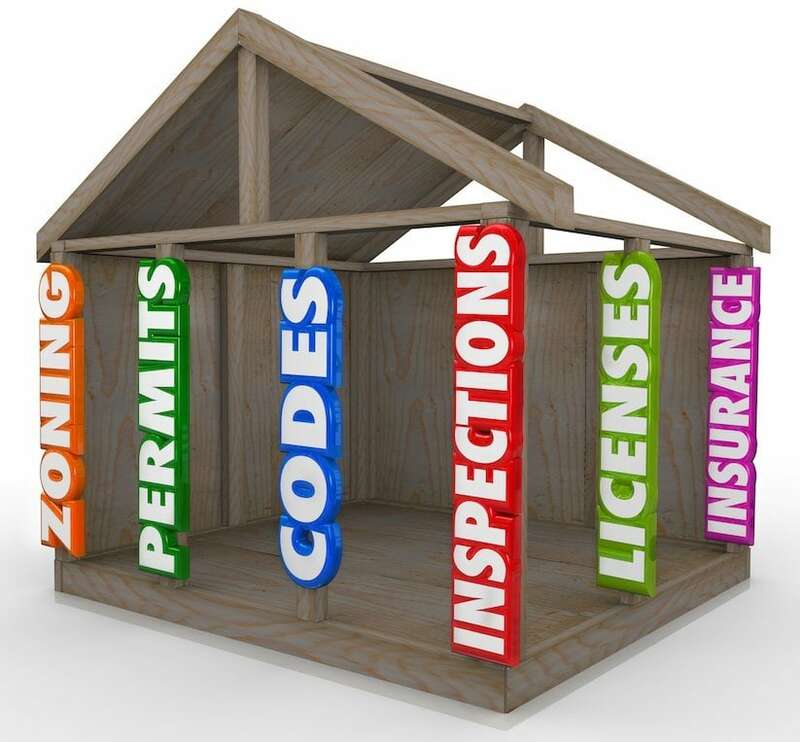 If you are still unsure about any aspect of codes at this point I would say it is well worth consulting with an attorney who specialise in land to help you through the zoning and building permit process. Once you have been granted the permits required for your log cabin, you will most likely have to undergo building inspections. The frequency of these can differ depending on the scale of your build. Normally targets will be set before your build, and you should call to arrange an inspection when you meet the certain points. Your building inspector will be very clued up on the building codes, rules and regulations, so make the most of the time that they are on site and ask questions. Let them know your plans so they can point you in the right direction, or advise you of alternative solutions. It is much easier to do this than correcting a mistake that has already been made. Some people have gotten around getting a permit by building small and somewhere remote. The size varies from county to county, but your cabin would probably need to be under 10×10 foot, or 20×20 foot in other counties. This guy built a small cabin in the middle of nowhere, it cost him less than $500 and he doesn’t have any permits for it. 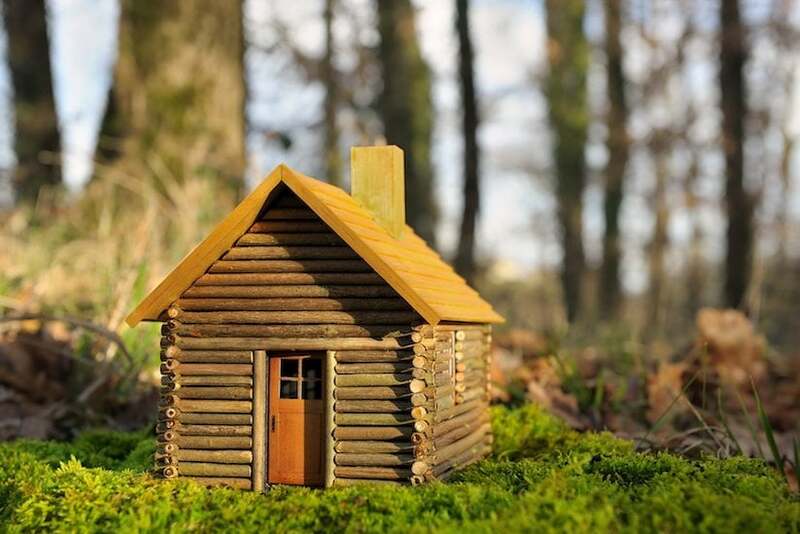 We are in no way advising you to build a log cabin or tiny home without getting the necessary permits, usually as soon as you make a dwelling your primary residence, or use it for sleeping in, you will need a permit. This is simply just to illustrate that is has been done – you just need to be willing to accept any risks that accompany this. If you are considering building a tiny home, it can be difficult to find somewhere to legally site or keep it unless it is a registered RV, and you park it on an RV park. You will usually require a permit to keep a tiny home on your land if you are using it as a permanent residence; however there are people who get around this by having it on wheels and moving it around. There are other options such as joining a tiny homes community or ecovillage, or even talking to your local planning department about starting a new community. You should now have an understanding of where to start in the process of applying for permits and have the right questions to ask, and people to take them to. Research your local areas zoning and building codes. Build away and remember to organise your inspections! Did you find this guide helpful? Are you currently going through a permit application? Please do let us know in the comments below, or send us an email if you have any further tips about getting permits, or about any difficulties you came across during this process. We would love to hear about your experiences.